will depend on the iP camera model. For a detailed description of each button&apos;s function, refer to the "Tool Buttons" topic that follows. 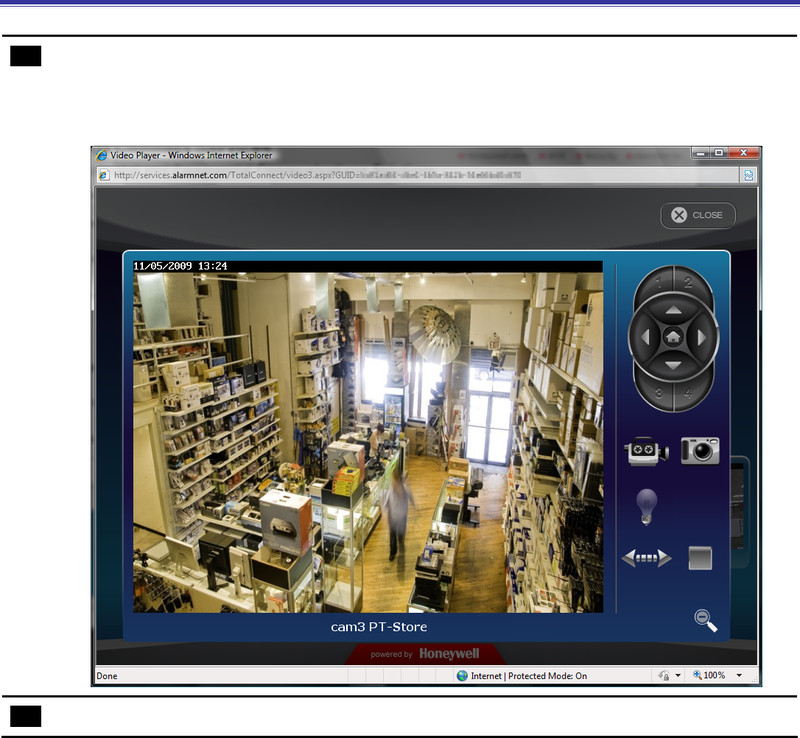 When your session is over, in the video monitoring window click Close then log out of Total Connect.